Dynamic Tanks 2.1 - Liquid Tanks At Their Finest! Store Liquids in Limitless Combinations!! Rewritten from scratch, Dynamic Liquid Tanks 2 has heard what you wanted and now it is giving it to you! New and improved so read up! 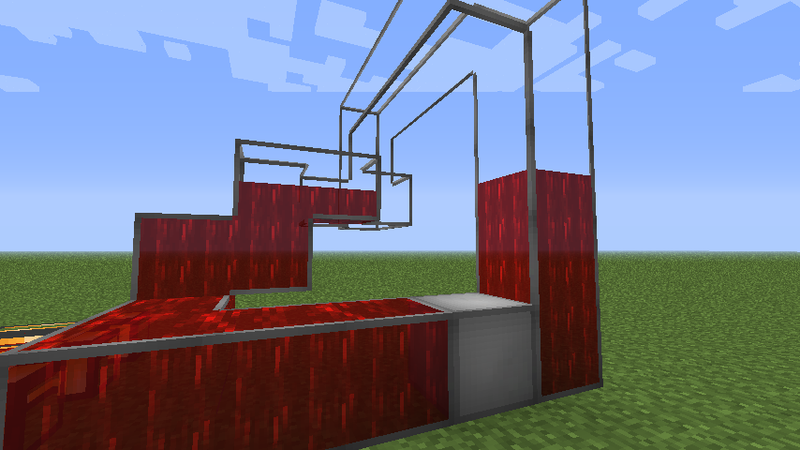 Dynamic Liquid Tanks is a mod that is based upon storing liquids in Minecraft in a limitless combination using multi-block structures, so that they look just the way that you want them to! These tanks can be customized in almost any way that pleases you. Do you want your tank to be a triangle? It can be! Do you want your tank to be odd or even length? It can be! Do you want your tank to camouflage and appear to be a diamond block? It can be! 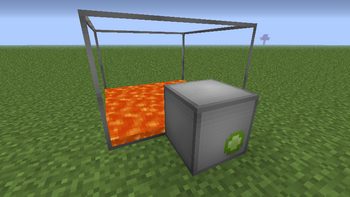 Do you want some simple hiding lava lighting? This is for you! These multi-block tanks give you a bonus size for each additional tank that is attached to the core and have absolutely no size limit! Wah?!?! - Ability to camouflage/color your tanks. 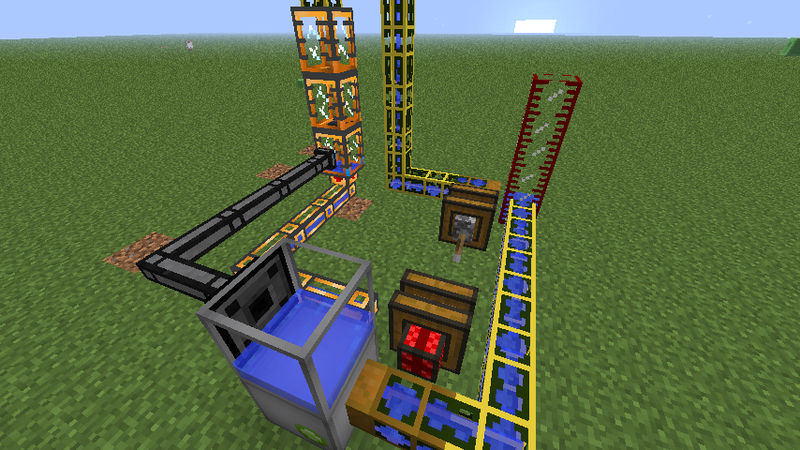 - Interact with the tank via BC Pipes, Golems, TE3 and Extra Utils! Support the development of Dynamic Liquid Tanks through patreon! Here. -[fixed] "Bug fix" that caused the Tanks to not sync with the Controller. Also re-did that bug fix. -[feature] Controller will now only retain contents if placed in same location it was broken. This is temporary and will be changed with a different mechanic in the future. -[fixed] Crash when removing a filled Controller and placing it next to a new set Tanks. -[fixed] Crash when placing an Upgrade Module and it is not directly connected to a Controller. -[fixed] Incompatibility bug with OpenBlocks enchanting table. -[feature] When placing Upgrade Module you must click on a block that has a Controller adjacent. Not doing so will result in the block being unable to be placed. 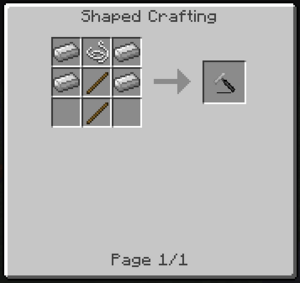 -[removed] All crafting items except the Hammer, Iron Plates and Modules. -[feature] Open the GUI and hover over any of the fluid slots, you will now see the name of the fluid, the amount and the capacity that, that portion of the tank can hold. -[feature] Place a chest next to the controller and place fluid containers in the chest, the controller will fill the items and drain in proportion to the amount the container can hold. 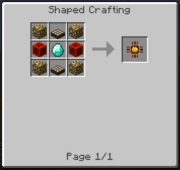 -[changed] Upgrade module crafting recipe. -[changed] Upgrade Item crafting recipe. -[fixed] Crash after breaking and replacing controller. -[fixed] Crash on sneak and clicking of controller. -[fixed] Controller not updating capacity when tanks were removed. -[added] Omni-Fluid Power, a fluid battery if you would. -[removed] The golden chalice. Seemed overpowered for the mechanic. Will create a replacement in the future. -[changed] Biome generation defaults to disabled. It seems to be quite slow...I will look into issues. -[fixed] Visual GUI bug with Tank Controller. -[added] Potion Mixer. Combine potions in a infinite combination. The more effects on a Mixed Potion the longer it takes to drink! ISided compatibility to pump in potions! -[added] Potion Dispenser. 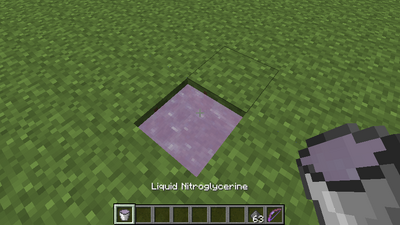 Right click with a Potion or a Mixed Potion to have the effects applied to a 4x4x2 area around the block. Particles will appear near the effect. ISided compatibility to pump in potions! -[removed] Duct. If you have these in your world, remove them before updating. -[removed] FCP. If you have these in your world, remove them before updating. -[added] Config options for new blocks. Sorry... -.-"
-[added] Config option for easy recipes. 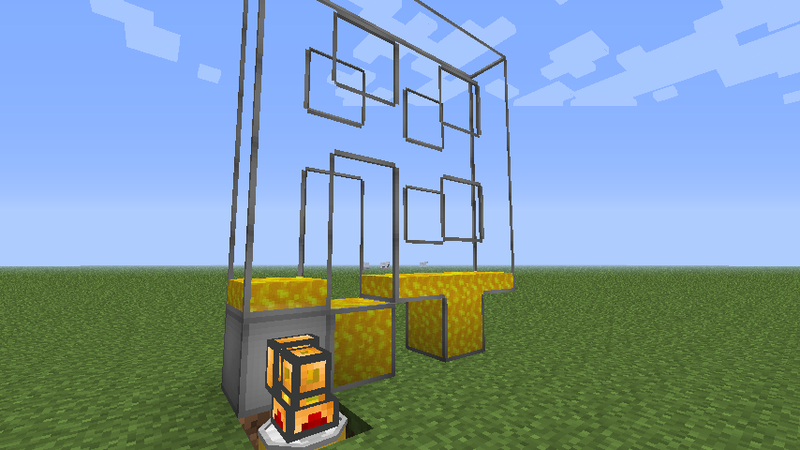 Replace iron plates with iron ingots. -[added] Better tool tips for the controller. -[fixed] NPE when filling a tank without a controller via fluiducts. -[fixed] NPE after placing, removing, and placing a controller on a different side of a tank. -[fixed] Render error similar to above fix. -[fixed] AIOOB when using setIndex command. -[fixed] Having fluid items added to creative menu when fluids disabled. -[added] Omni-Power Fluid, currently unobtainable. -[added] FCP for MJ or RF power. Current unobtainable. Feel free to play with in creative. -[removed] Duct. Ignore config option. 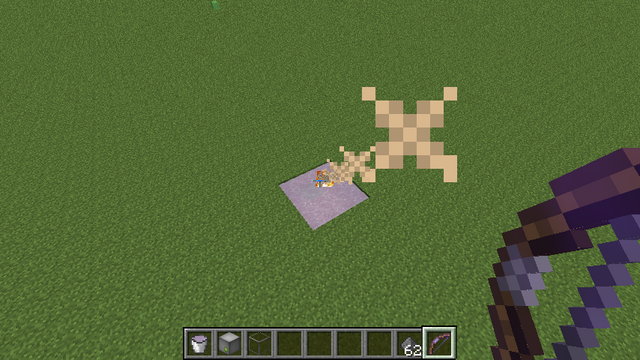 -[fixed] NPE that resulted because of above crash. -[fixed] No config id for Mystic Dirt. -[fixed] No config id for Cleansing Fluid. -[fixed] Incorrectly registering fluid textures(Whooops -.-"). Now renders correctly in tank guis, florbs, extra utils drums, etc. -[improved] Connected textures now look much better and do not leave harsh gaps. Buildcraft Team - whose tank code helped my learn alot! Click on the name of any item bellow to be taken to its wiki! This is suggested as the descriptions bellow are just summaries of the items. The Tank Controller is the basis block for the mod. 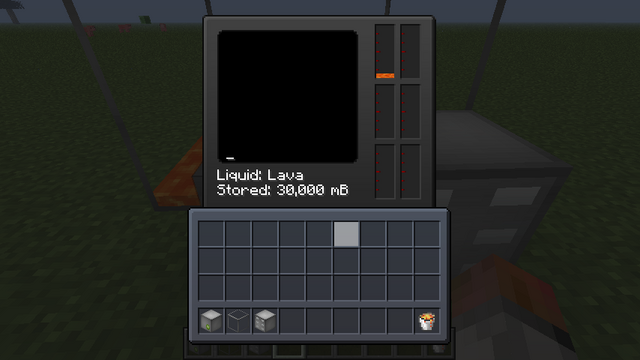 This is one of the two blocks that liquids can be placed in and removed from. Right clicking will open the GUI displaying the liquids stored and the command prompt. Commands can be entered to gain additional information regarding the multi-tank. The is probably the second most common block in this mod. The Tank Block is where the fun starts. This block can be camouflaged and coloured in an infinity combination making a typical multi-tank look like a tree for instance. These tanks also increase the size of the multi-tank. These tanks will render the liquid that is within the currently selected index. The Upgrade Module is a very important block in this mod as it allows the customization of the multi-tank that it is connected to. 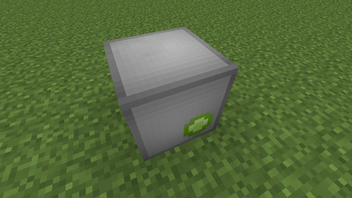 You can either insert a Capacity or Storage Upgrade into one of this blocks 6 slots. Each Capacity Upgrade will increase the size of the mult-tank by 1.1^n where 'n' is the number of Capacity Upgrades. Insert a Storage Upgrade to allow the multi-tank to store an additional liquid for each Storage Upgrade. Have you ever wished that potions were liquids that could be placed in the world? Now they are! 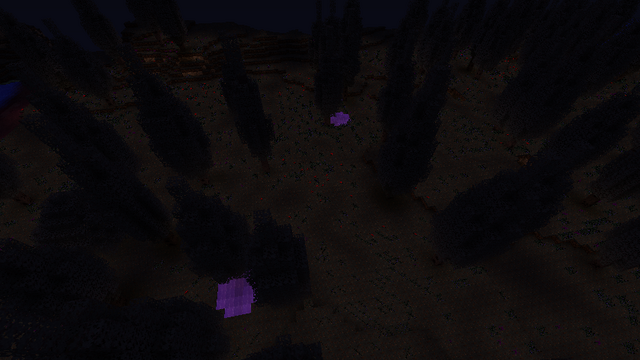 Fluid potions are found randomly generated in the Mystic Forest. They can be picked up with either a bucket or a golden chalice. Each potion has an amount of stability and once that reaches 0, the potion turns to water; however, you can repair the stability of a potion by picking it up with the golden chalice. As the chalice takes damage the stability of the potion increases. Often known as the Fountain of Youth, cleansing water has healing properties. 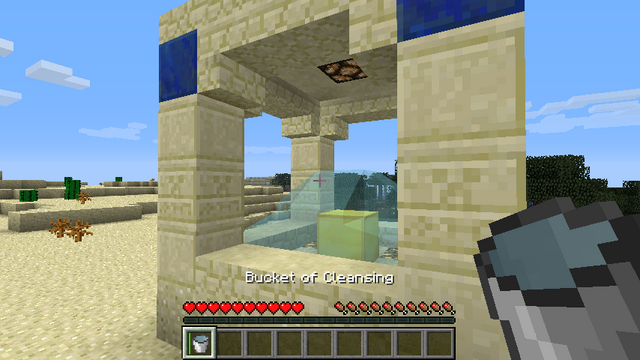 However due to its power it is found rarely in deserts and only 1 bucket can be found per fountain. Cleansing Water can be used to craft/repair a damaged golden chalice allowing the chalice to be reused. Just because TNT is not enough! Liquid Nitroglycerine is a party! Place it, activate it and wait 10 seconds. KABOOM! In Dynamic Tanks there are two types of Upgrades that can be placed into the Upgrade Module. These are the Capacity Upgrade and the Storage Upgrade, each with their respective difference. The golden chalice is you ticket to infinite potions, though be warned it is not easy to get! The Iron Mass is a simple item used in the crafting of the Tank Controller and Tank Block. Besides these two recipes it has no other purpose. 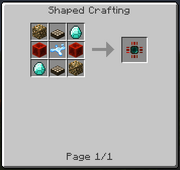 The Hammer was added to be a simple additional step to getting the Iron Mass without adding complex machinery. The recipe is cheap and the hammer has 16 uses each producting 4 Iron Mass per craft. 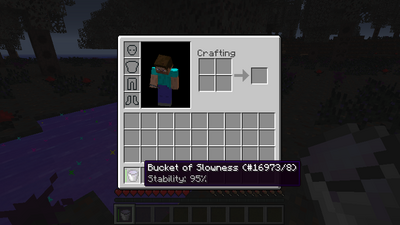 This gives the player the ability to craft a stack of 64 Iron Mass from one hammer. The Softened Diamond is one of the steps in crafting the Softened Diamond Mass. This recipe required that the hammer not be damaged and unlike the Iron Mass will use the entire durability on the hammer. The Softened Diamond Mass is a tricky peice of business. It is crafting by smelting a Softened Diamond in any sort of furnace. The problem is once it is in your inventory you have 7 seconds to use it before it turns back into a diamond. To camouflage or colour any tank or controller, simply SNEAK + Left Click with either a dye or the block you wish the tank to be camouflaged as. SNEAK + LCLICK with an empty hand to clear these settings. Commands make this mod very powerful. Upon opening a Tank Controller the player will immediately notice a black command line interface on the monitor. This is where various commands can be inserted allow the user to gain extensive knowledge about their mult-tank. In addition the user can set various variables. Potions have always been limited to what could be done with them. They can't be stored except in unstackable masses and there was not way to store them in tanks. This is not the case! With Dynamic Liquid Tanks 2 you can store all the potions you want. Simply right click with the bottle on the tank and the potion will be stored. The Mystic Forest is a dangerous place, with some unique resources. The puddles you see in the images bellow are liquid potions. The Mystic Trees are there to give you quite the scare as well. Q: I have a set of tanks placed together but they are not filling? What is wrong? A: You most likely do not have a Tank Controller. Just place one touching any one of your tanks to get it working. Please! If you find a bug please report it here: Click Me To Report a Bug! Step one is to download and install Minecraft Forge. Step two DynamicLiquidTanks.jar goes in the mods folder inside .minecraft. Then proceed to modify the block ids in the config file. This mod is covered under the Creative Commons 3.0 license. Modpacks are encouraged as long as a link to this thread is included. If you do decide to use this mod in a mod pack, I ask that you link back to this thread and credit me. Thank you. 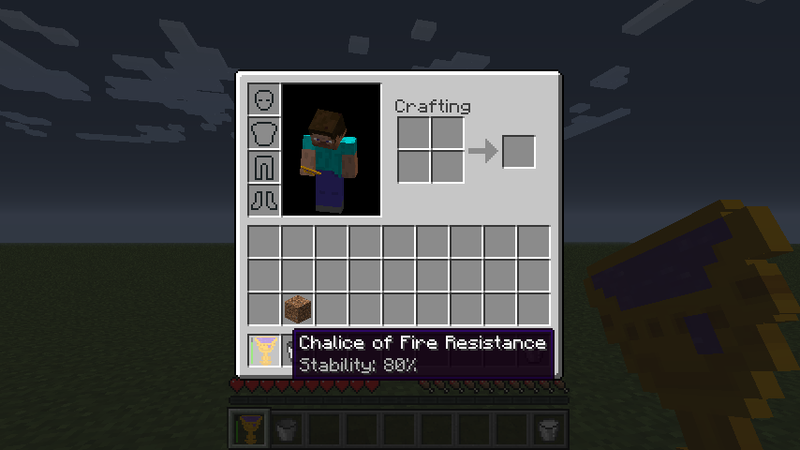 This mod (plugin, patch to Minecraft source, henceforth "Mod" or "The Mod"), by the terms of http://minecraft.net/terms are sole property of the Mod author (WingsOfLife, henceforth "Owner" or "The Owner"). It may be included in any modpack with other mods, as long as it does not attempt to make money off The Owner's Mods. URL shorteners or other attempts to make money off The Owner's Mods are strictly forbidden without advance written permission. Attempts to modify the Mod, and distribute modified versions are Strictly Prohibited, regardless of the modifications in question. I can't wait to get home to try this out; always glad to see those who can, do for those of us who can't! 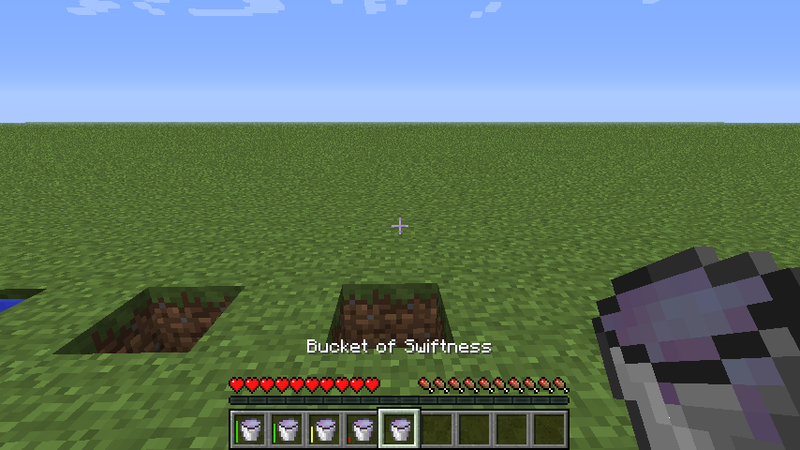 Looking Good WingsofLife, cant wait to see what comes of this complete revision of the Mod. 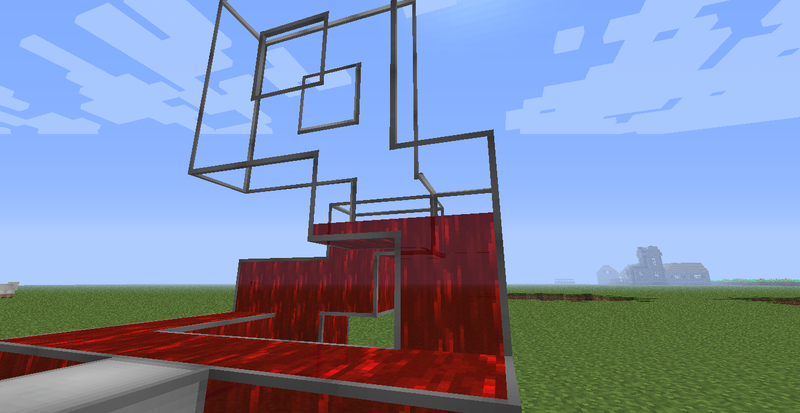 Same as the OpenBlocks Tanks, but with good edged texture. Working on several projects, and providing server hosting service via SSS (Sero Server Service). The Liquid Nitroglycerin could lead to interesting traps & self destruct mechanisms. I don't think there is an option to change the ID for cleansing water in the config; there were a slew of id issues with TiC and I changed all of the block Id's in the your config, 3212 still persists. 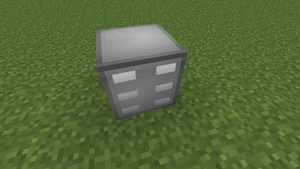 Same as the OpenBlocks Tanks, but with good edged texture. GoodJob! Actually OpenBlock tanks are the same as these. Dynamic Liquid Tanks 1 came before OpenBlocks. OB just got more publicity. Sorry about that Ill update that in the next release. instant harming is slightly messed up. Also, can you make a milk liquid that clears all other effects? As is instant health. It is more of a vanilla issue. I am working on it. Also the Cleansing Water should do that in the next version. The rendering in the tanks is much more refined now than in DT1, that is definitely appreciated. 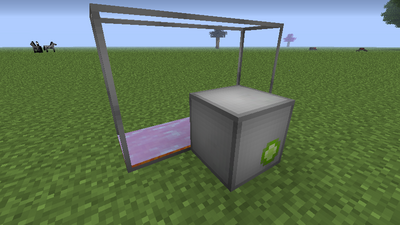 also, how much lag would it be to use the tanks as a form of connected texture glass? (they're actually cheaper than some alternatives). That is one of the big things I was looking for. The tanks tick every 5 seconds looking for a controller to bind to. I'd say they have a similar lag to a coke oven from railcraft. I am sorry to hear that. The basic mechanic is still there in terms of the tanks. All the is missing is the built-in ender tank which is getting a nice rewrite. If it is the extras the mod adds there will be a way to disable them via the config. I am sorry to hear this. Connected texture improvements that are soon to Dynamic Liquid Tanks 2. I predict your download rate is going to go up very quickly. I realize it is just a conflict but there doesn't seem to be an option in your config to change the ID for blockHauntedDirt and I don't want to start messing with an existing world by changing the ID in BoP. It likely won't come up normally... But how do they handle filling multiple adjacent chunks? Which CC 3.0 license is this being released under? There are several granting different rights. Even under the most restrictive license type you may not restrict others from distributing unmodified copies of your mod, specifically this wording "By default it may only be distributed on its own from http://www.minecraft.../topic/1861781 It may not be distributed on its own from any other source." does not agree with the rights granted by the license. Also your choice to adopt such restrictive terms after the help the modding community gave you writing and polishing this mod leaves a sour taste in my mouth. I will not feel comfortable using your modification unless that changes, sorry. Edit: Clearer wording of final paragraph.